Like many from my generation, I grew up playing video games. Some of my earliest memories, memories my cousins, brothers, and I still talk about, are about bonding over HydroThunder on the DreamCast at my Nana's. I played Frogger on the PS1 during Christmas, SSX Tricky or Guitar Hero on PS2, Tetris on my (pink) gameboy, and watched way too many hours of my brothers playing Gauntlet Legends (they beat the game, it was quite an accomplishment.) Video games are throughout every gathering in my life, and through pop culture they've been pretty relevant since the 80's. My dad and his brothers generation grew u going to the arcade or playing Atari. And the classic, retro games are where its at! 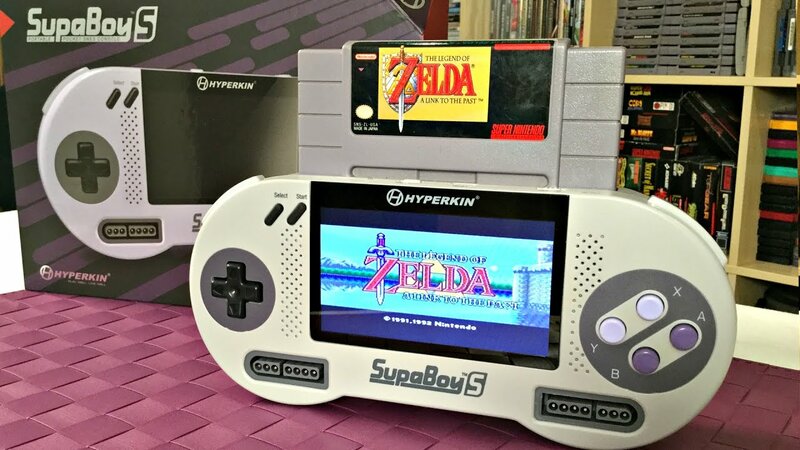 Hyperkin, a company who manufacturers and distributes updated gaming systems has several products that allows you to play the retro games you love but with the tech and graphics of today. Check them out below! RetroN 77: Have the original cartridges but in need of updated images? Look no further as the RetroN 77 will bring you back to your childhood nostalgia. Supaboy: Hand held nintendo software! Use the old cartridges ANYWHERE! All allowing you to have access to the games you love and the graphics of today. What could go wrong for any true gamer? ?